Play casino slots online from the guys at Eyecon. 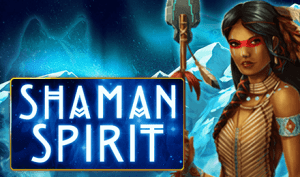 Shaman’s Spirit is a game embedded in history. 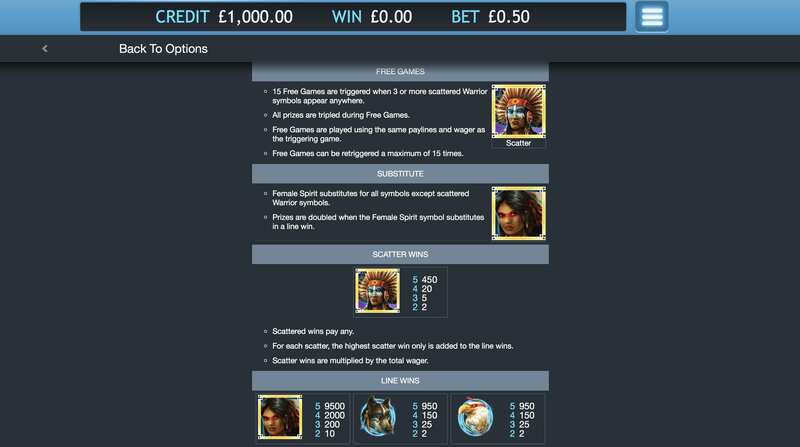 It takes a step back from your standard ancient Egyptian or Roman themed slot games and ventures into the Native American themed world. Although there are a few slot games with similar themes none of them focuses on the female Native American. Nevertheless, this is a wonderful 5 reel slot game from Eyecon where there’s a whole range of cash prizes and free spins to be won. Heres a great new game from the team at Eyecon. If you'd like to know something about Eyecon's other games then you can view 2019 slots games here. Eyecon is one of the leading providers of online slot games currently on the market. Some of their titles are some of the most revered names in the industry. Responsible for games like 99 Time, Double Up Ducks, and Autumn Gold, Eyecon are renowned for providing a middle-ground game that offers both simplicity, a cutting-edge theme, high-quality graphics, cash prizes, and free spins. 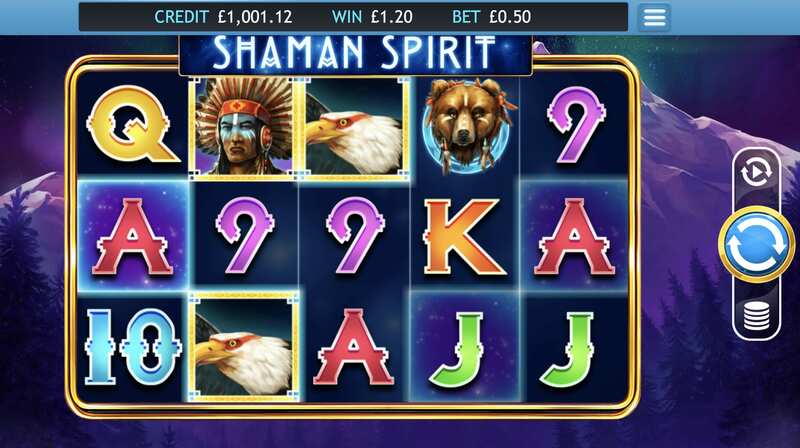 Shaman’s Spirit is a 5 reel slot game that will transport you to a world of Native American tradition and prestige. Run with the wolves and join the Navajo journey when you embark on this game by Eyecon. This game has wonderful 3-D graphics where you will find yourself on the great American plains caught up in the scenery and running with the wolves. If you're interested in a list of our best slots, read more here. These reels are filled with a wonderful range of detailed symbols such as feathers an Indian decoration. This game is a sequel to Shaman’s Dream, a highly popular similar themed game from Eyecon. The gameboard is filled with spinning totem poles that are embodied with the spirits of deceased sacred animals. The symbols on the gameboard are what really bring this slot game to life with wonderful depictions of buffalo, bears, horses, eagles, and a lone wolf. Each one of these animals represents its own particular spirit. For example, the lone wolf embodies freedom to roam and ingenuity and the eagle represents instinct and visual prowess. As always, the reels are filled with a range of high-value playing card symbols such as the 9, 10, J, Q, K, and A symbols and are adorned in a wonderful native American style. If you’re looking for your free spins then look out for the mystic warrior scatter that may appear on the reels from time to time. When you discover 3 of these battling heroes you will automatically win 15 free spins that will set you on your journey to lucrative multipliers and cash rewards where winnings can be doubled or even tripled.